After years of bushmen's struggle to defend the access to their territory, an open diamond pit opened in 2014, theatening their traditional livelihoods. The Botswanan Government granted concessions for mineral exploration to diamond companies over an area encompassing the entire ancestral territories of the Gana and Gwi Bushmen, living in the Central Kalahari Game Reserve. The majority of the Bushmen were forced to re-locate, and denounced the threats, persecution and torture they suffered. The bushmens main borehole was cut off so as to forcibly evict them. Despite a ruling by the Botswanan high court in 2006 that the eviction was unlawful, the borehole remained closed and the judge dismissed their case to access water inside the reserve in 2010. Finally in January 2011 Botswanas Court of Appeal overturned the decision and condemned the governments degrading treatment of the Bushmen. 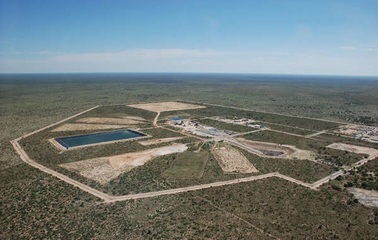 The diamond project, valued at 3.3 billion dollars, remained on hold until 2014. In September 2014, opened the Ghaghoo diamond mine. Relevant government actors Government of Botswana. In spite of favourable court decision for the local inhabitants, a diamond open pit is in activity since 2014 . Development of Alternatives They wanted access to water and the right to hunt and freely gather fruits in the reserve as they did before the mine activity. Why? Explain briefly. The High Court of Botswana ruled that the displacement of the Bushmen is unlawful and unconstitutional and accorded them full rights to re-enter and live in their territory. In 2011, they won the right to access the borehole. But in 2014 a diamond mine was inaugurated in the CKG Reserve while in the beginning of 2015 the government grated licenses for gas explorations.